Finding the right skin-care routine is crucial for optimal skin health. My love of skincare started with my mom, who instilled in her two daughters good skin habits, like always removing makeup at night (though I don’t use baby oil anymore!). And as I get older, and start thinking about aging, sunscreen and eye cream have become important parts of my regimen. My oily skin as a teenager has transitioned to dry skin, and it’s an ongoing challenge to find the perfect moisturizer. Everyone’s skin is different, so it’s important to think about your age, specific skin concerns and environmental factors when creating a customized daily regimen. This how-to guide, created with the help of Hello Glow esthetician Deborah Harju, will perfect your skin-care routine. But first things first, let’s talk skin types. Do you see large pores when you look in the mirror? Do you often have shine on your face most times of day regardless of the weather? These are common when over-active sebaceous glands cause oily skin. Cleansers: Pick a cleanser that lathers well to remove oil and debris in the pores. A honey face wash helps reduce oil and bacteria without stripping the skin of moisture. Moisturizers: A common misconception is that oily skin does not need moisturizer. Wrong! 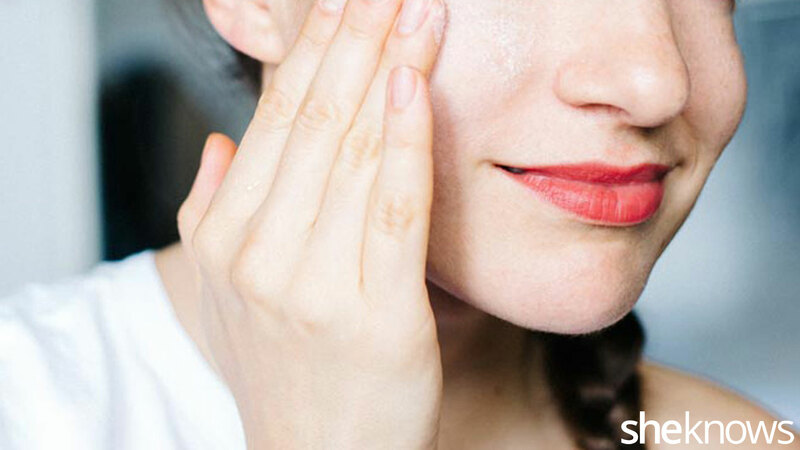 Be sure to pick a lightweight moisturizer that won’t clog your pores. Yes, you can use trendy face oils, but stay away from mineral oil and choose bases containing tamanu oil or grapeseed oil. This is the most common skin type, part oil and part dry. Which makes it a challenge! The T-zone (nose, forehead, and chin) is oily during the day, with occasional clogging, while the cheeks feel dry. The oily parts of the face may contain blackheads or blemishes while the perimeter of the skin usually is clear. Cleansers: Foam cleansers are a great solution for cleaning different areas of the skin. They are effective at treating oily skin without over-drying other parts of the face. Moisturizers: Take note, it’s OK to apply two different moisturizers to different sections of your face if you can’t find the right moisturize to meet the needs of your whole face. During the day, a moisturizer with sunscreen is a good choice, while at night you will most likely want something more hydrating, like jojoba or sunflower oil, for the dryer areas. If your skin feels tight immediately after cleansing and you are prone to fine lines, then you most likely have dry skin. With each passing year my skin seems to feel more dry, and it’s essential to keep skin moisturized to prevent lines and wrinkles. 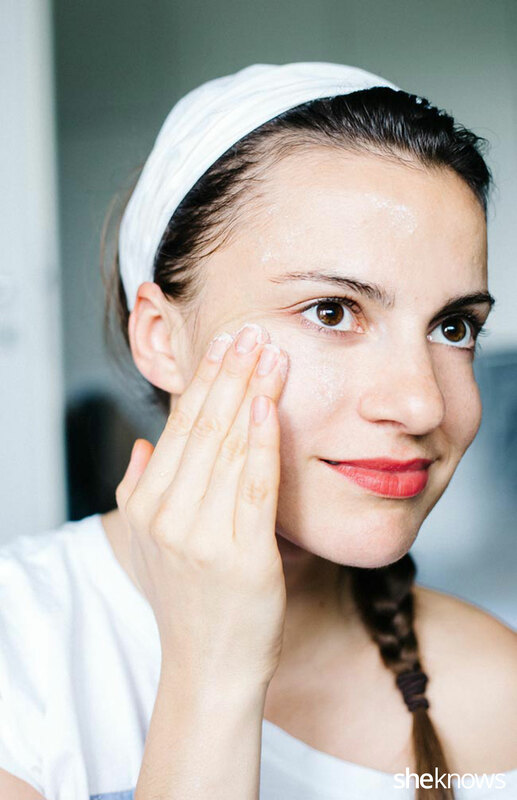 Cleansers: Cream cleansers are the best choice for dry skin because they won’t strip the skin of its natural oils and they won’t leave your skin feeling tight. A yogurt cleanser is gentle but effective for exfoliation. And my favorite cleanser for dry skin is a cleansing balm. Moisturizers: Serums are great at combating fine lines that often plague dry skin. At night I use a rich facial oil with soothing ingredients like rosehip oil that can seal in hydration. Hyaluronic acid is also a wonderful protective barrier. It’s important to note that you can have sensitive skin in addition to any of the above skin types, often accompanied by redness and/or irritation to certain ingredients or heat. If you have sensitive skin, you’ll want to pay attention to your products and keep careful record of what causes any adverse reactions. Once you’ve identified your skin type, choose the right cleanser and moisturizer to fit your skin’s needs. All skin types need exfoliation! Scrubs are a wonderful physical exfoliant and can be used 2-3 times a week. Or kick back and relax with a mask with alpha hydroxy acids to get rid of dead skin cells. All skin types also need sun protection. If you have oily skin, you’ll want to go with a lighter SPF. Generally, the higher the SPF, the heavier the sunscreen feels and is likely to clog. And don’t forget to wear a hat when in the sun for an extended period of time!